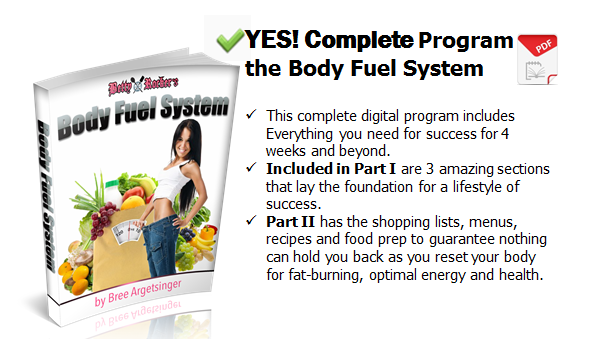 The Body Fuel System is a system developed by Betty Rocker. The program explains how food works and what you can do to achieve and maintain your ideal weight. Betty Rocker’s Fitness Food Recipes: easy and tasty fitness food recipes that are contain no gluten or dairy. What kind of foods will I be eating? The program is based on whole, unprocessed foods such as, natural meats, organic eggs, raw nuts, gluten-free grains, natural oils and wild fish. What is more, you will gain access to many recipes that will show you how to combine these ingredients in delicious ways. How much weight can I expect to lose with this program? It depends on how much excess weight you are currently carrying and how high your metabolic rate is. Most people lose approximately 4 pounds in the first week of the system. However, you need to keep in mind that most of this initial weight loss is actually water. This means that it not very realistic to expect the same after the first week has passed. An average 1-2 pounds loss per week is more likely. Does the System track calories? The Body Fuel System doesn’t count calories per se, but nutrient density. However, most of the foods in this diet have a low calorie-density, which means that they help you achieve satiety with fewer calories. This approach will be sufficient in order to create a calorie density, without actually counting calories. Visit Body Fuel System, for more information!